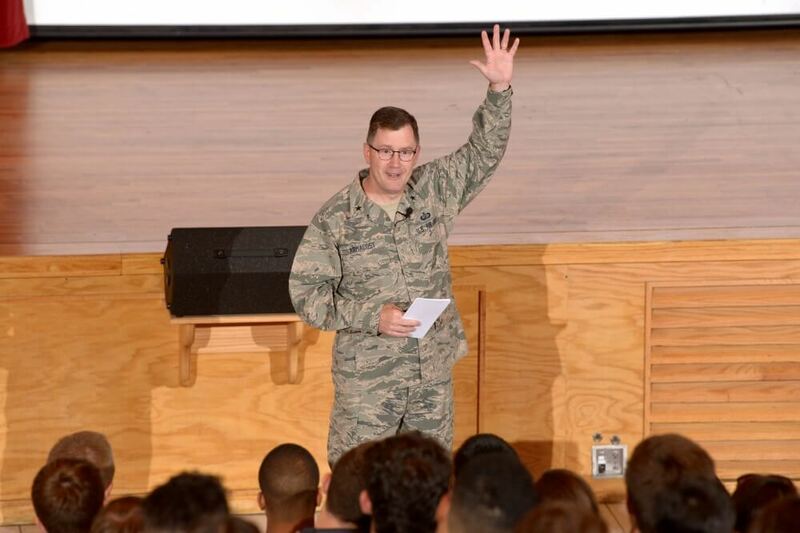 U.S. AIR FORCE ACADEMY, Colo. — An elite research organization selected the dean of faculty at the Air Force Academy to be an honorary member of their organization. Brig. Gen. Andrew Armacost is one of only a dozen educators in the U.S. this year to receive the honorary title to the Institute for Operations Research and the Management Sciences, also known as INFORMS. INFORMS is a leading professional society in the operations research discipline. The organization’s president, Nicholas Hall, notified Armacost Sept. 25 and said the recognition is the result of Armacost’s substantial contributions to education and public service. Armacost said he’s humbled by the recognition. According to the INFORMS website, honorary INFORMS fellows are examples of outstanding lifetime achievement in operations research and the management sciences. Fellows demonstrate exceptional accomplishments and make significant contributions to the advancement of operations research. Four academic departments at the Academy support the school’s interdisciplinary operations research program: computer and cyber sciences, economics and geosciences, management and mathematical sciences. Armacost and the other elected fellows have been invited to the INFORMS-sponsored Fellows Luncheon and Ceremony, Nov. 15, in Phoenix.